The lawn at Peter Strauss Ranch. The perfect spot for a pre-show picnic. Harry Miller, an American race car designer and builder in the 1920’s and 1930’s, bought the bare property in 1923 as a woodland idyl to develop ideas for his racing machines. Because of his successes in the racing world, he built a field-stone house on the ranch, a small “lookout tower”, an aviary for his growing collection of exotic birds, an orchard and a garden. During the Great Depression, Miller suffered financial ruin after attempting to build aircraft engines, forcing him to sell the property. In the mid-1930s, Warren Shobert and Arthur Edeson purchased the ranch, transforming the place into “Shoson”- a fairyland of charm and a paradise for children and adults. Later, a dam was constructed on Triunfo Creek, creating a small lake, and a 650,000-gallon swimming pool was built on site. The resort was renamed “Lake Enchanto.” Competition from other, larger amusement parks and resorts led to the decline of “Lake Enchanto.” It fell into disrepair and closed around 1960.The property lay neglected for a decade until 1976 when a young employed actor from New York became enamored with the property. He was already a devoted collector of artful treasures and western flora. He fell in love with the property while filming Rich Man, Poor Man at nearby Malibou Lake. He purchased the Lake Enchanto property at a tax auction and spent the next seven years bringing the property back to life. In his seven years as owner, Strauss rebuilt and enlarged the house, following its original style. He planted a large lawn and also a culvert to carry drainage water around it. He planted his private cactus collection in a prominent spot. He also put in a hot tub, which has now been removed to make way for public restrooms. He lived on the ranch until 1983 when he sold it to the Santa Monica Mountains Conservancy. 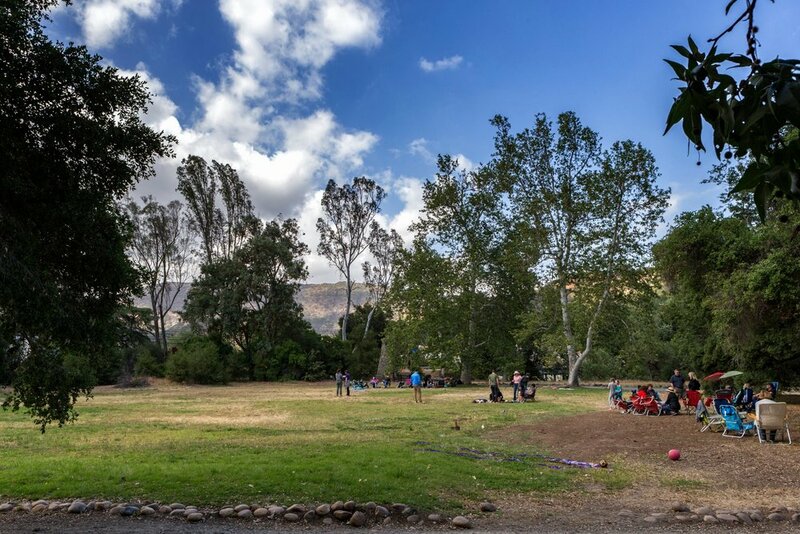 The National Park Service purchased the ranch in 1987 as part of the Santa Monica Mountains National Recreation Area, dedicated to the preservation of our natural and cultural history.